HARRISBURG, S.D. – A new Showplace Wood Products paint color, Urbane Bronze, is a contemporary gray-brown that combines complementary and accent colors with the gray tones that are currently the most popular neutrals. The deep, saturated tones of Urbane Bronze are designed for a refined and fashionable kitchen, a dramatic bath or an entertaining space that blends with trendy textures and tonal counterpoints. 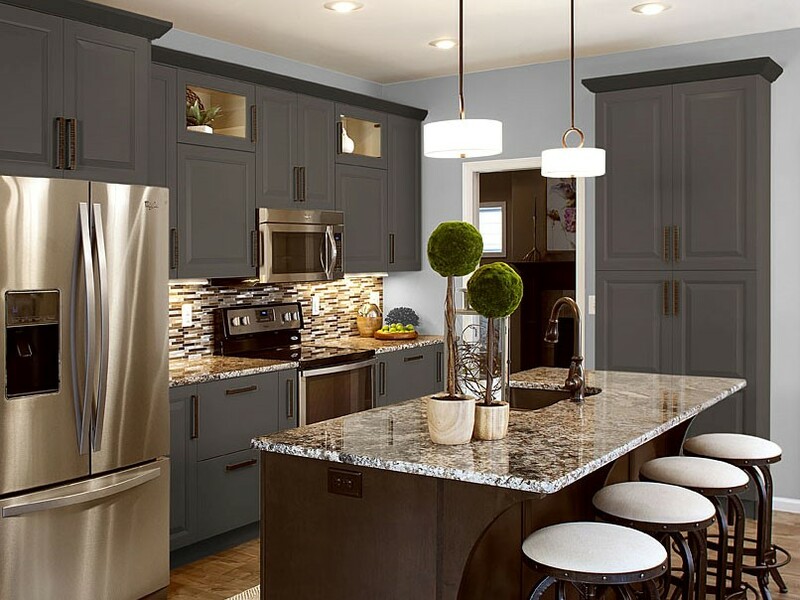 Showplace painted finishes have the solid-color appeal of standard painted cabinetry, with the advantage of a multi-layer process that includes an oven-baked finish coat. Urbane Bronze can be ordered to complement red oak, paint grade/MDF, rustic alder and, for overlay and inset door styles, maple wood species. Urbane Bronze is also available in the Showplace Vintage antique character finish. Special Vintage finish techniques include hand padding and dry brushing to create a distinctive impression of elegant aging. This handcrafted finish is offered in three variations on the array of wood species available from Showplace. Showplace builds and distributes custom and semi-custom overlay, inset, and full-access (frameless) cabinetry for the home. The company also builds Murphy wall-beds, entertainment centers, designer closets, and cabinetry for home offices. Showplace has 574 employees with three manufacturing facilities, two in Harrisburg, South Dakota, with the third in Beresford, South Dakota. See http://www.ShowplaceWood.com.